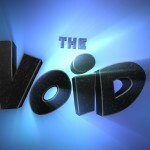 Like film itself, Ed, the Void’s go-to-out-of-desperation cameraman/grip, has often been described as “negative”. Some people in this world simply don’t give a damn. Ed would be one of those people but he just doesn’t have the energy. Acting auditions. They’re palm-sweating, knee-wobbling, lower-intestine-peristalsis-inducing experiences, aren’t they? Not to worry! Lu is a professional thespian and she’s here to teach you how to burn yourself into the director’s mind without the help of a soldering iron. Meet Gustaf, Satan’s gift to filmmaking. If you took all the worst qualities of every film director and stapled them together to form a Frankenstein’s-monster-esque amalgamation, Gustaf would come along and tell you to do it all over again because it wasn’t good enough.